Delivering world-class services has never been more critical as today’s businesses continue to be disrupted with new technologies and competition. With multichannel becoming the new norm, contact centres are faced with more complex queries and they urgently need to reorganise their operating model and create super-agents that are skilled and empowered to deliver effortless customer services. Meanwhile, the rise of AI and bots promises to overhaul the way we interact with customers and completely transform customer service. The future is here. Yet how do you look through the hype to build your business and ramp up your strategies around the change? And this more than the technology itself will be the true differentiator for market winners. Partnering with businesses to deliver insights and world-class service is a major step for customer contact to become more strategic in customer-centric transformation. In the age of digital, providing that human touch to both your customers and your employees will be the winning recipe. 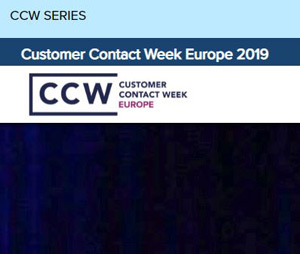 CCW 2018 was where key strategies were shared and the future shaped.